Wondering where to go snowmobiling this year? 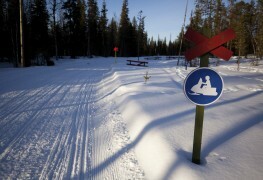 There are many places across the country to enjoy this exciting wintertime activity. Here are four Canadian provinces that offer scenic landscapes to enjoy. 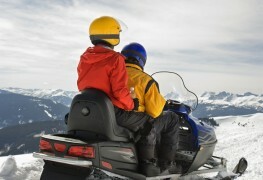 The perfect snowmobile ride starts with the proper riding apparel and safety gear. Here's what you need. 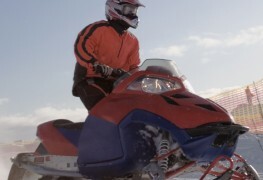 See how today’s snowmobile manufacturers are going the extra mile to offer state-of-the-art performance, comfort, and safety features. 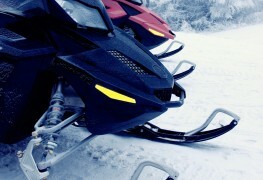 It’s no secret; snowmobile thefts are on the rise. 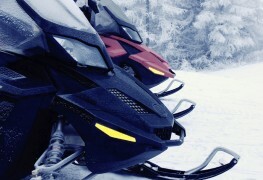 Discover snowmobile security tips you can use to protect your vehicle. Before putting your snowmobile into storage after a season of sledding, discover what you can do to maintain your machine for next winter. Changing the oil in your snowmobile can help extend your vehicle's lifespan year after year. Discover the step-by-step process for this simple, but important procedure. 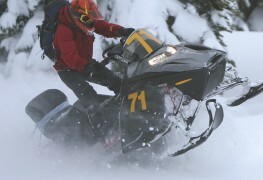 Snowmobiling accidents cause over 14,000 injuries per year, many of them preventable with the right equipment. 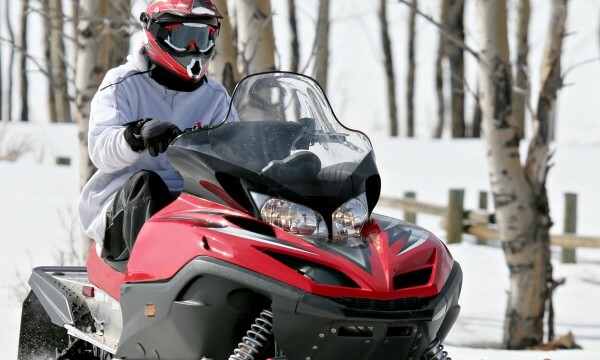 Discover how to spot a safe snowmobile helmet. 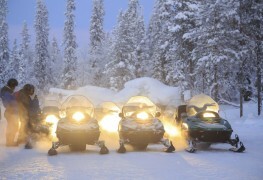 Ready to start roaring through the trails in your snowmobile this winter? 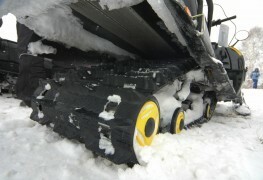 Before you hit the snow, it’s a good idea to give your machine a tune up. 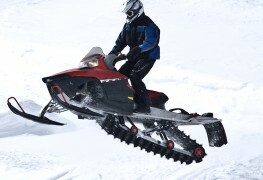 Familiarize yourself with the key parts of your snowmobile so you can better understand and use your machine. 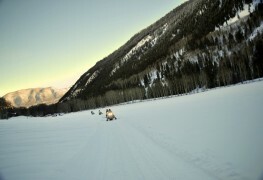 Without the proper protection, snowmobiling is risky and uncomfortable. 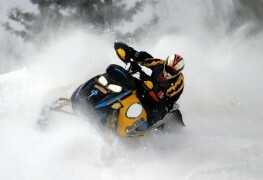 Find out about all the snowmobile clothing you'll need. For whatever reason, you’re ready to part ways with your snowmobile. Here are some tips for selling it for what it’s worth. 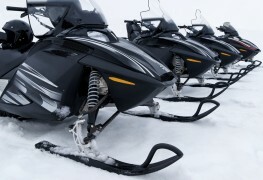 Which of the different types of snowmobiles is right for you? So you’re interested in snowmobiles. Maybe you want to buy one, or maybe you simply want to learn more about them. Here’s what you need to know. 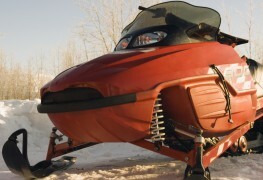 Snowmobiles aren't cheap, so if you’re not set on getting a new one, a second-hand sled is a good move. But don’t go into this purchase blind. 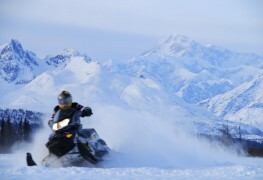 Having the right track size is important to getting the best performance from your snowmobile. Discover how to make the best choice. 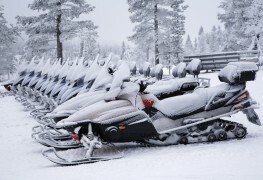 Align the skis on your snowmobile the right way by avoiding these common mistakes and sticking to these best practices. 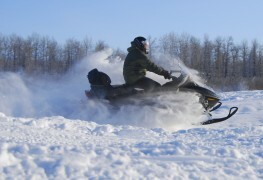 Whether you plan to take your snowmobile to a repair shop or repair it yourself, here’s what you need to know to get you back on the trail fast. Discover the step-by-step process for testing your snowmobile's fuel pump, and ensure yourself the best ride possible. Discover the most popular designs, important safety features, and questions you should ask when it comes time to purchase your snowmobile trailer.